VANCOUVER, British Columbia, June 05, 2018 (GLOBE NEWSWIRE) -- MGX Minerals Inc. (“MGX” or the “Company”) (CSE:XMG) (OTCQB:MGXMF) (FSE:1MG) is pleased to announce the Company intends to complete a non-brokered private placement to raise gross proceeds of up to CA$7,007,000 on a non-flow through basis (the “NFT Financing”) and a concurrent non-brokered flow through private placement to raise gross proceeds of CA$5,002,500 (the “FT Financing”), for aggregate gross proceeds of up to CA$12,009,500. The NFT Financing will consist of an offering of up to 6,370,000 units (the “NFT Units”). Each NFT Unit will be priced at $1.10 and comprised of one common share of the Company (a “Common Share”) and one common share purchase warrant (a “Warrant”). Each Warrant will entitle the holder to acquire one additional Common Share of the Company for a period of 36 months from the date of closing at an exercise price of $1.20. The FT Financing will consist of an offering of up to 4,350,000 units (the “FT Units”). Each FT Unit shall be priced at $1.15 and comprised of one Common Share issued on a flow-through basis pursuant to the Income Tax Act (Canada) and one-half of one Common Share purchase warrant (each whole warrant, a “FT Warrant”). Each FT Warrant will entitle the holder to acquire one additional Common Share, on the same terms as a Warrant underlying the NFT Units. The closing of the financings are expected to take place on or about the week of June 18, 2018. The securities issued under the FT Financing and the NFT Financing will be subject to hold period of four-months and one day. In connection with the NFT Financing and the FT Financing, the Company will provide a finder´s fee to EMD Financial Inc. (“EMD”) equal to a cash payment of 8% of the gross proceeds raised from purchasers of the NFT Units and the FT Units introduced to the Company by EMD (“EMD Subscribers”) and Common Shares equal to 4% of the total number of NFT Units and FT Units sold to EMD Subscribers. In addition, EMD will receive compensation options (“Compensation Options”) equal to 4% of the total number of NFT Units and FT Units sold to EMD Subscribers. Each Compensation Option will entitle EMD to purchase one unit at a price of $1.20 for a period of 36 months following the closing date (an “EMD Unit”), with each EMD Unit comprising one Common Share and one Warrant. EMD will also receive a corporate finance fee equal to $50,000. The Company reminds shareholders it has determined June 29, 2018 as the Record Date (the “Record Date”) for the proposed distribution of the payment of a dividend in kind of common shares in the capital of its wholly owned subsidiary, ZincNyx Energy Solutions Inc. (“ZincNyx”). The Company expects to issue dividend shares totaling 25%-40% of its holdings in ZincNyx to MGX Shareholders of Record, pending final audit and pricing of shares. The declaration and payment of any such dividend (the “Proposed Distribution”) and the amount thereof will be determined at the discretion of the Company’s board of directors and will remain subject to, among other things, satisfaction by the Company of all statutory obligations under the Business Corporations Act (British Columbia). The Proposed Distribution also remains subject to applicable approvals and regulatory compliance in all respects. For more information on the ZincNyx dividend, see the Company’s news release dated April 30, 2018. 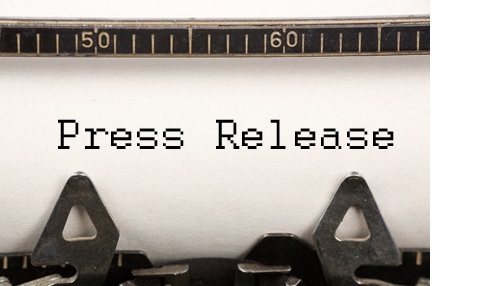 This press release contains forward-looking information or forward-looking statements including the completion of the rights offering (collectively "forward-looking information") within the meaning of applicable securities laws. Forward-looking information is typically identified by words such as: "believe", "expect", "anticipate", "intend", "estimate", "potentially" and similar expressions, or are those, which, by their nature, refer to future events. The Company cautions investors that any forward-looking information provided by the Company is not a guarantee of future results or performance, and that actual results may differ materially from those in forward-looking information as a result of various factors. The reader is referred to the Company´s public filings for a more complete discussion of such risk factors and their potential effects which may be accessed through the Company´s profile on SEDAR at www.sedar.com.